"Oh what a wonderful world we live in indeed—now let's get out and explore it." If you know me, then you probably also know that I am by no means an outdoorsy kind of gal. It's not that I have some deep-rooted fear or opposition to Mother Nature, but rather, that I've just never really given "the great outdoors" the proper time of day. For a long time, I recognized the importance of nature and what it has to offer, but that was all. For a long time, I held a degree of indifference towards the beauty of our planet, and that is something that I am glad to say has changed — and for the better, at that. 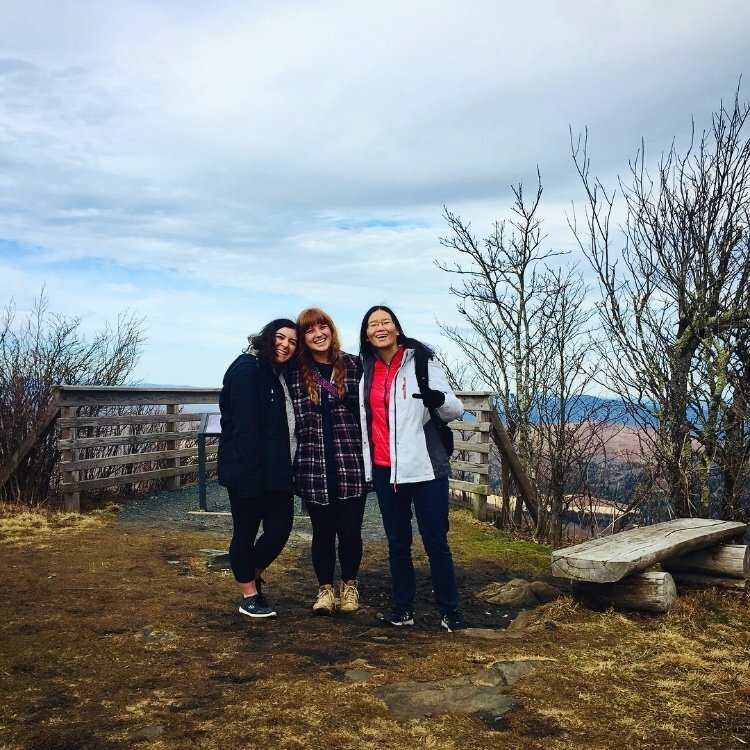 When you think "college spring break," odds are you probably think of something a little crazy — but have you ever thought of a couple of 20-something year olds bracing the cold (and wilderness) of a North Carolina mountain winter to camp and hike at five different state parks? And yet, that was exactly what I did this past spring break — and oh, was it worth it. All of this started with my best friend, whose love for the outdoors and state parks led her to challenge herself to visit all of the NC State Parks, and keeping up with that (and winning fun prizes) through the NC State Parks Passport Program. With her Passport Challenge in mind (coupled with our knowledge of setting up a tent that we gained from camping in the Outer Banks last summer), and the two days of spring break that she, I, and our other best friend had to spend together, the greatest "mountain spring break trip" of all time was born. 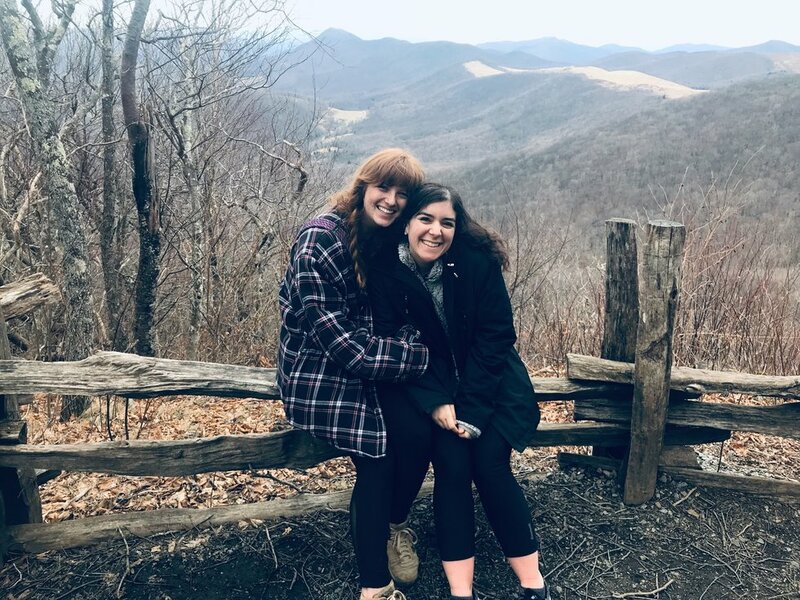 Before we knew it, a couple of girls — who had only the slightest clue what they were doing — found themselves squeezing visits to five NC State Parks into just two days. They also found themselves camping on a campground at one state park all alone (and in 30-degree temperatures), starting fires, wearing multiples layers to keep warm, blowing their noses constantly because they had slight colds, hiking more than their legs had ever carried them before, getting scared every time a twig snapped or a bird chirped, and having the best time doing it all. Before we knew it, these girls went from a moderate love of nature to a love that stretched well beyond the ten-plus miles they hiked in those two days. The trip started at Elk Knob State Park, where we hiked to see a beautiful view of the mountains and the near-setting sun. It went on to Mount Jefferson State Natural Area, where we saw the sunrise and the hustle and bustle of mountain towns a ways below us. It went on to Grandfather Mountain State Park, where we swung on a swinging bridge and had an impromptu photo op a ways above the world. It then landed us at the Rough Ridge Trail, where I took a picture on the edge of a rock that I had to climb and roll of all fours just to reach. It took us to sunrise at New River State Park, which also happened to be where we were camping. 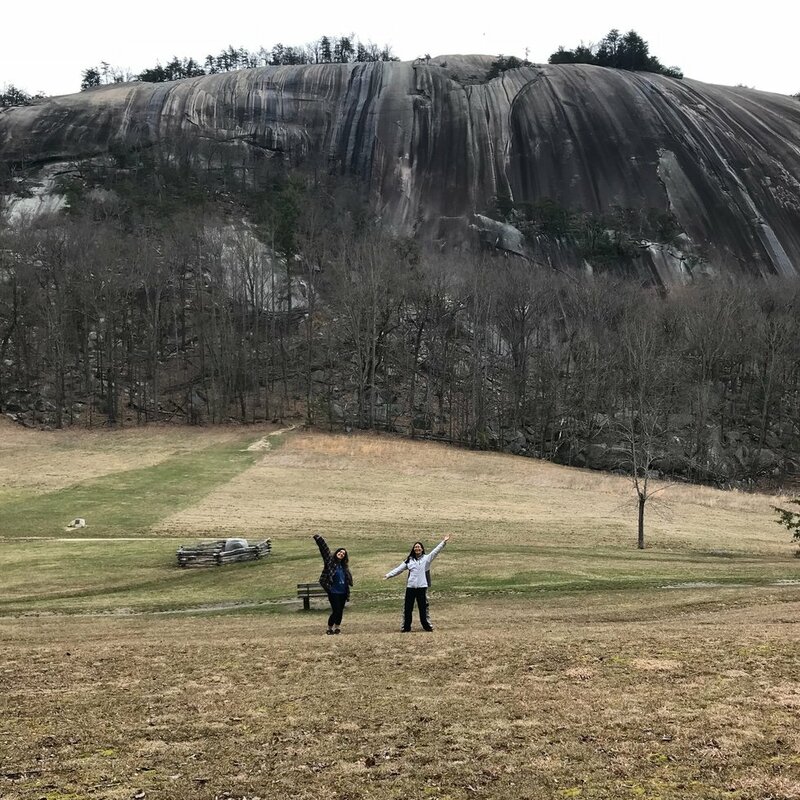 Lastly, it took us to Stone Mountain State Park, where we climbed a literal stone mountain and saw some of the most beautiful views we'd ever seen. Needless to say, we were a little all over the place. Also needless to say? We had the best time. We explored nature more in two days than I ever have in my entire life — and I got my own NC State Park Passport (which I am so excited to get stamped at my future State Park destinations). We also grew closer to nature than ever before, and I had to stop and question why I had never taken advantage of all the beauty North Carolina — and the world — has to offer. We joked on the car ride up that we were going to all "find ourselves" on this trip. However, I don't think that any of us truly believed that was going to happen — at least until it actually did. Coming home, I really felt like I had grown closer to this beautiful, wonderful, exciting, and incredible planet that we live on. I love it more now than I ever could have dreamed. Oh, what a wonderful world we live in indeed—now let's get out and explore it. For more information about North Carolina State Parks, visit https://www.ncparks.gov/. To learn more about participating in the NC State Parks Passport Program, check out https://www.ncparks.gov/passport-program.